If you have old crowns on your teeth, they’re probably made out of gold, silver, or another metal. For decades, such materials were favored by dentists because they are so strong and tend to last for many years. However, gold and silver don’t blend in with the teeth around them; they’re an obvious sign that you’ve had some dental work done, and they may even make you self-conscious about your appearance. At Four Town Dental, we’re proud to offer all ceramic crowns in Enfield. They are an attractive alternative to traditional metal restorations. Dental ceramic, which is oftentimes simply called porcelain, is a biocompatible compound that is specifically engineered for use in dentistry. 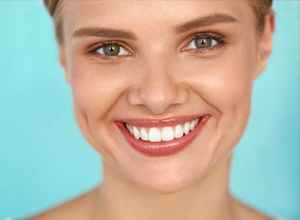 Its primary advantage is its appearance; porcelain reflects light in a way that is similar to that of natural teeth. It also comes in a variety of white and yellow shades so your dentist can design a restoration that is as close in color as possible to the teeth around it. Once the crown is in place, onlookers may have no idea that you’ve had some dental work done. All ceramic dental crowns in Enfield look better than even porcelain-fused-to-metal (PFM) crowns. PFM restorations have a metal base with a porcelain overlay. While these crowns are quite strong, it is sometimes possible to see the metal through the outer layer of porcelain. Although not quite as strong as gold or silver, porcelain is able to stand up to most of the rigors of everyday life. Most patients find that their porcelain crowns last for between five and 15 years. 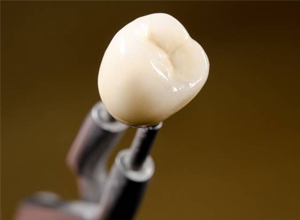 Porcelain crowns can fulfill all of the same duties as traditional metal crowns. 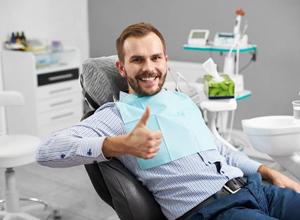 Your skilled dentist in Enfield can create a crown that fits perfectly, providing you with a very comfortable bite. 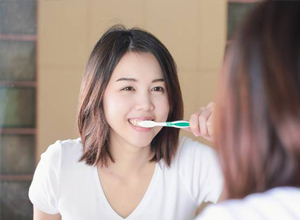 Maintain excellent oral hygiene habits. Don’t snack on anything that is extremely hard, such as ice or jawbreaker candies. If you suffer from bruxism, ask your dentist for a nightguard to stop you from grinding your teeth at night. If you play sports, be sure to wear a mouthguard to protect your teeth against impacts. We numb your tooth and prepare it to receive the crown. We may need to file it down or fill it in so it fits well under the restoration. We take an impression of the tooth and the area around it, and we send that information to a laboratory, which will create your custom crown. You wear a temporary crown until your permanent one arrives. When it does, you return to our office so we can attach it with a special dental cement.